Former American Idol Kelly Clarkson got a nomination for Best Pop Vocal Album. 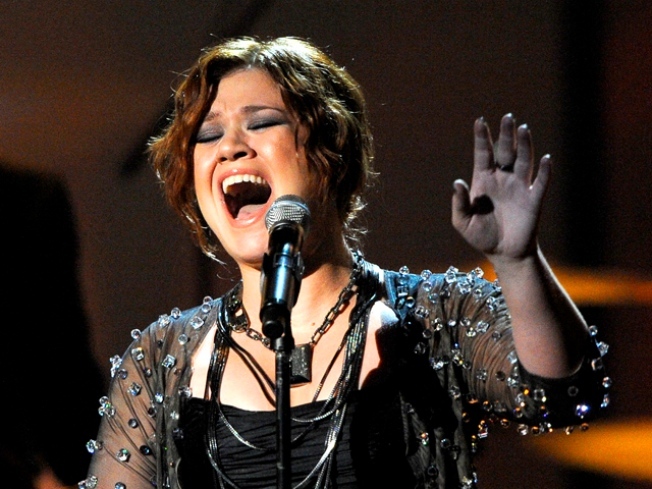 Kelly Clarkson has high hopes for her new album. The original "American Idol" Tweeted on Friday that the follow up to 2009's "All I Ever Wanted" is going really, really well. "The album is gonna b awesome," Kelly wrote. "just got some songs back from my session in LA!" As a means of celebration, Kelly said she was hitting the road this weekend. "in between session so I figured why not road trip!" she Tweeted. Late last month, Kelly revealed she had "Officially recorded the first song" for her "5th album." The singer noted it "is a duet," but declined to reveal who the song was recorded with. "Can't tell you who quite yet," she wrote coyly. Kelly has reunited with producer Jason Halbert for the album, and noted in a post last month that at least one of the tracks they were working on was edgy. "In the studio again with Jason and loving the song we're cutting. It's very industrial/raw/awesome," she previously wrote.